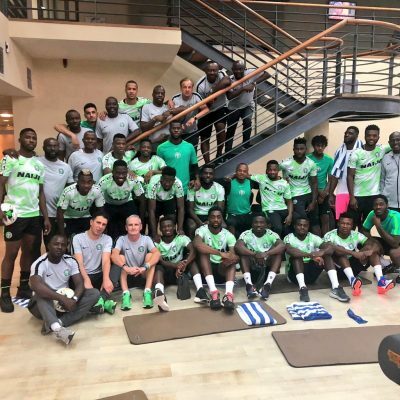 The Super Eagles depart for Sfax, Tunisia on Monday aboard a charter flight for Tuesday’s 2019 Africa Cup of Nations qualifying matchday four encounter against Libya. The game will take place at the 18,000 capacity Stade Taïeb Mhiri, the home ground of Tunisia Premier League side, CS Sfaxien. The stadium was built in 1938 and was used for the 2004 Africa Cup of Nations. The game will kick-off at 7 pm Nigerian time. 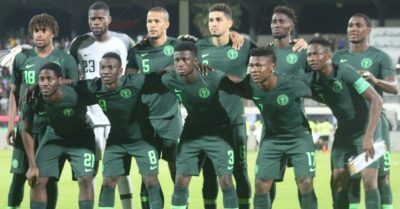 The Super Eagles are also expected to depart Sfax immediately after the match and arrive in Abuja in the early hours of Wednesday, 17th October. 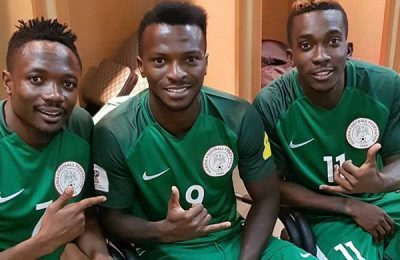 Gernot Rohr’s men defeated the Mediterranean Knights 4-0 on Saturday at the Akwa Ibom International Stadium Uyo, with Odion Ighalo bagging a hat-trick and Samuel Kalu scoring the other goal. The three-time AFCON winners have won their last qualifying fixtures since suffering a 2-0 home loss to the Bafana Bafana of South Africa on matchday one in Uyo. Nigeria is currently in the second position in the Group E table with six points following the win against Libya, one point less than South Africa’s who beat Seychelles 6-0 in Johannesburg.